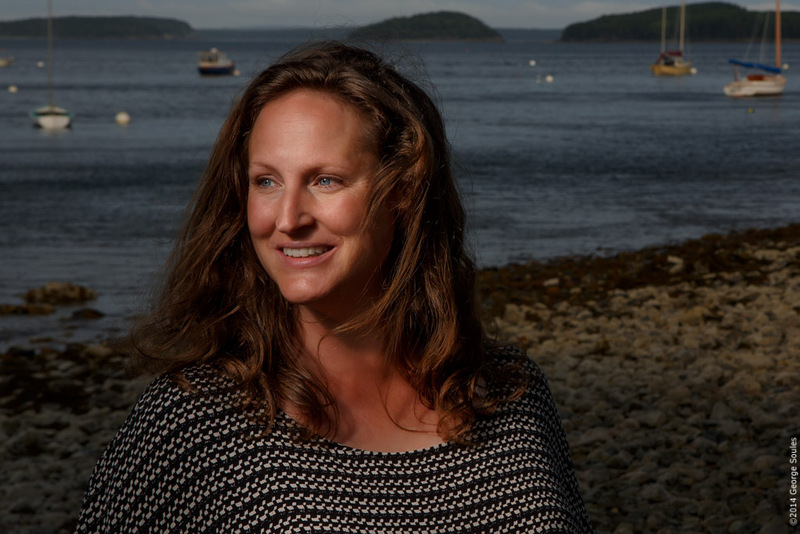 Jennifer Steen Booher lives on Mount Desert Island, Maine with her husband, two kids, and two dwarf rabbits. She is an amazing artist and photographer. 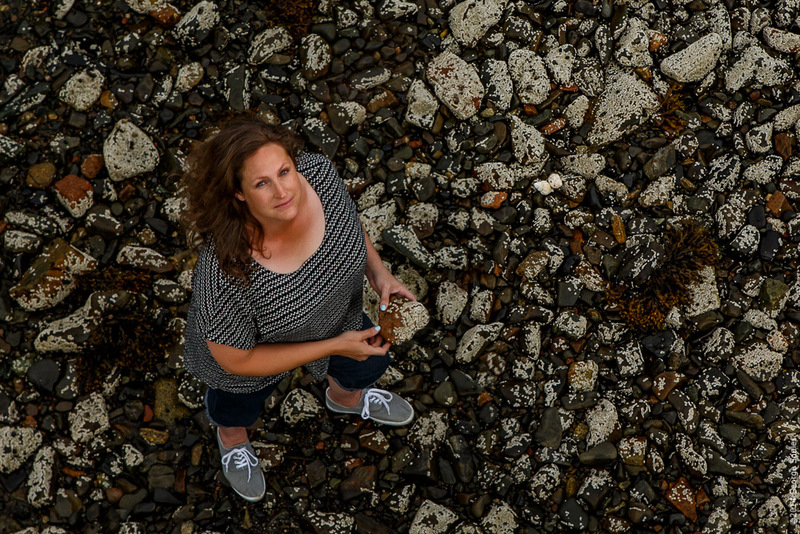 Her Beachcombing series of photographs documents the things she found on a particular beach on a particular day. Each image has a crisp white background and a precise arrangement of odd shapes and rough textures that highlight the individuality of each object and unify them into a larger composition. As a friend and fellow photographer, Jenn modeled for me recently so that I could try out some new lighting techniques. I shot both of the images below using a Canon 5D3 with a Canon 24-70mm lens. The lighting is a mix of daylight and an off-camera Canon 600EX Speedlight inside a small Lumiquest softbox. In the upper picture, my wife and assistant Janice held the light so close to Jenn's face that both Janice and the softbox were in the photo. After taking this picture, I asked Janice to step out of the frame and then took a second shot which I later composited with the first so that Jenn appears alone, but well lit!